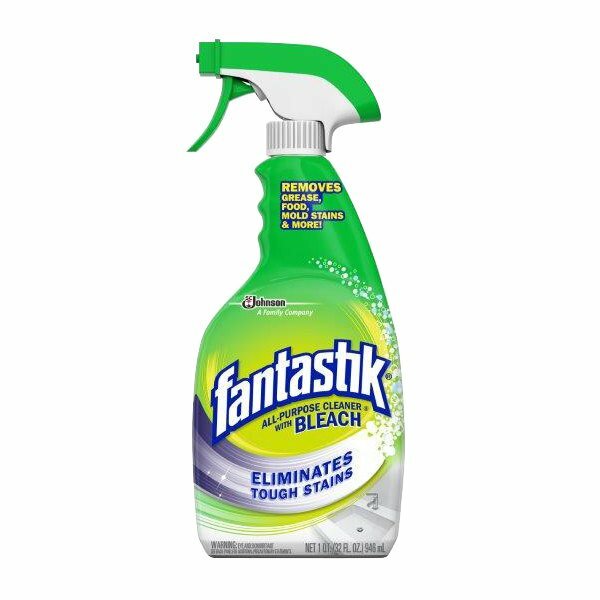 Keep your whole establishment sparkling clean with SC Johnson Fantastik® 308685 32 oz. all purpose spray cleaner with bleach! This powerful cleanser cuts through caked on food stains, grease, soil, soap scum, mildew, and mold to leave surfaces looking and smelling clean and fresh. Fantastik® may be applied to countertops, stovetops, sinks, appliances, tubs, showers, grout, toilets, and other hard, nonporous surfaces around your commercial kitchen or restroom. It also works equally well on tile, fiberglass, and vinyl!